Liottite: Mineral information, data and localities. Named in 1977 by S. Merlino and P. Orlandi in honor of Luciano Liotti (1932 - 2006), a mineral collector who donated the material in which liottite was first found. 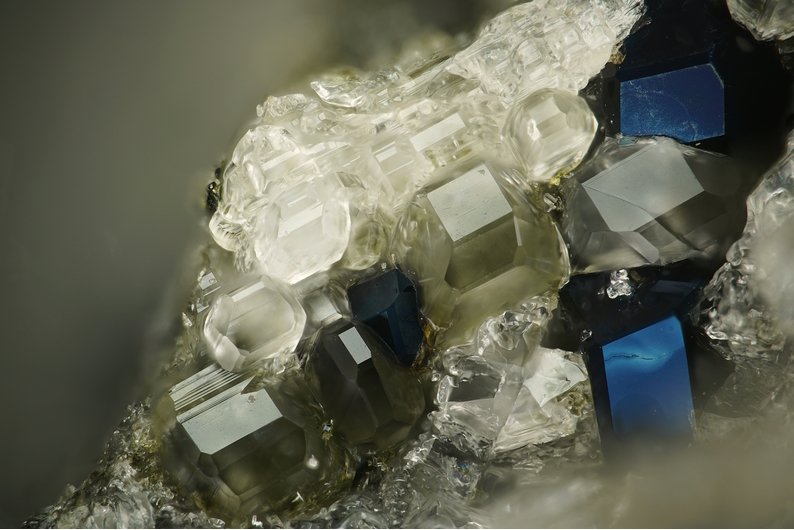 This page provides mineralogical data about Liottite. Melanite 3 photos of Liottite associated with Melanite on mindat.org. Sanidine 3 photos of Liottite associated with Sanidine on mindat.org. Grossular 2 photos of Liottite associated with Grossular on mindat.org. Vesuvianite 1 photo of Liottite associated with Vesuvianite on mindat.org. Giuseppettite 1 photo of Liottite associated with Giuseppettite on mindat.org. Augite 1 photo of Liottite associated with Augite on mindat.org. Merlino, S., Orlandi, P. (1977) Liottite, a new mineral in the cancrinite-davyne group. 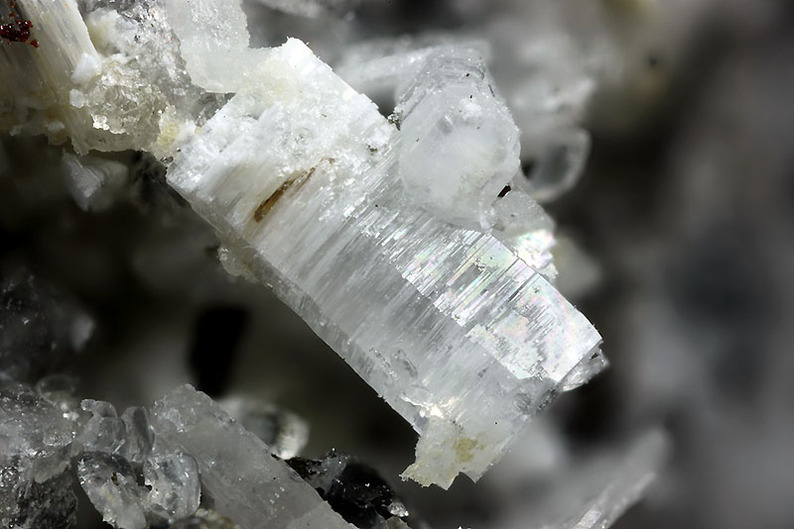 American Mineralogist: 62: 321-326. Ballirano, P., Merlino, S., Bonaccorsi, E., Maras, A. 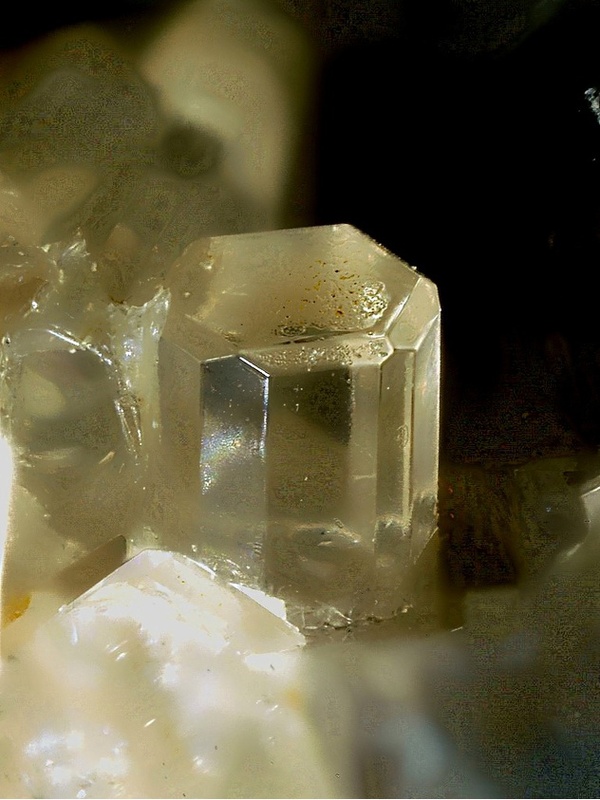 (1996) The crystal structure of liottite, a six-layer member of the cancrinite group. Canadian Mineralogist: 34: 1021-1030. Punzo I. (1996): La liottite di Torregaveta. Notizie del Gr. Miner. Geol. Napoletano, 1, 1, 3; www.geocities.com/gmgn/n1_96-4.htm; Fedele L., Tarzia M., Belkin H.E., De Vivo B., Lima A., Lowenstern J.B. (2006): Magmatic–hydrothermal fluid interaction and mineralization in alkali-syenite nodules from the Breccia Museo pyroclastic deposit, Naples, Italy. In: De Vivo B. (ed. ), Volcanism in the Campania Plain: Vesuvius, Campi Flegrei and Ignimbrites. Developments in Volcanology, vol. 9, Elsevier B.V., Amsterdam, pages 125-161. Liotti L. and Tealdi E. (1983): Il vulcanismo Sabatino ed i minerali della Caldera di Sacrofano. Riv. Miner. Ital., 2, 35-58.